Miss TeaSmith will be what’s known as the ‘Controller’ of the personal data you provide to us. We only collect basic personal data about you which does not include any special types of information or location-based information. This does, however, include name, email and phone number etc. We adopt appropriate data collection, storage and processing practices and security measures to protect against unauthorized access, alteration, disclosure or destruction of your personal information, username, password, transaction information and data stored on our Site. Sensitive and private data exchange between the Site and its Users happens over a SSL secured communication channel and is encrypted and protected with digital signatures. We have a data protection regime in place to oversee the effective and secure processing of your personal data. If at any point you believe the information we process on you is incorrect you can request to see this information and even have it corrected or deleted.  If you wish to raise a complaint about how we have handled your personal data, you can contact us through our website www.missteasmith.com and email uma_satkunam@yahoo.co.uk and we will investigate the matter.